I am going to Alpha Centauri. 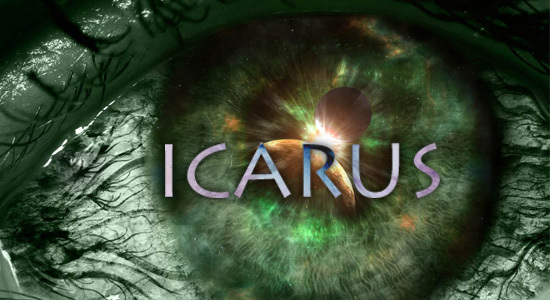 In a few days time I will be boarding the Icarus for a ten-year journey into the stars. Before I go further, my name is William Shriver and I am a writer and a journalist. I want that put into record right away before any substantial misunderstandings crop up. I am not an astrophysicist or time-vortex engineer. I am not even a science fiction reader. I am a writer and nothing more. The Icarus is NASA’s first interstellar exploration vessel and will be traveling beyond Pluto to enter the Gamma Three Time-Vortex Tunnel. This should, theoretically, take us near Alpha Centauri and its surrounding planets. Its mission will be to collect data on the system and analyze it for exploitable resources and possible colonization. I was chosen for this project because I have no substantial ties to Earth. No wife, no children, not even a dog is waiting for me at home. These are requirements to join the Icarus, not all of them, but they are the fundamental ones. The others are more clinical ones of course, the kind having to do with height and weight and if one will spew up one’s guts in zero-g. We have all been sterilized as well. Finally, you must be willing to spend a decade on a cramped ship with a perfect group of strangers. My job is to record our journey from the time the Icarus detaches from Luna Space Station until we come home, a decade later. My first few messages will be sent directly to my Sat-Blog, but once we enter the first Time-Vortex Tunnel near Mars nothing is going to get through until we get back. I am about to go into a briefing with Commander [DELETED], something to do with an upcoming test. I’ll say more afterward. This will be all I can say about the business that went on in that room. Experimental is not a strong enough word. Even with all the leaps in science we’ve seen here on Earth (credited far too often with the NAA’s mandatory genetic and IQ-breeding mandates) what I was told today makes me worry. Even the huge pile of credits promised me might not make this trip worthwhile, but I can’t back out now. I prefer to breathe air, thank you very much. This entry was posted in Icarus, Original Fiction, Science Fiction and tagged Alpha Centauri, experimental, genetic, Icarus, Luna, Mars, NASA, Pluto, Science Fiction, space, Time-Vortex, William Shriver. Bookmark the permalink.